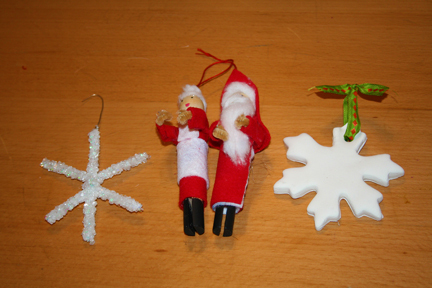 First, I whipped up these holiday decorations in about 5 minutes while the kids were in school. The instructions can be found here. I absolutely LOVE them! They suit my taste/style perfectly! 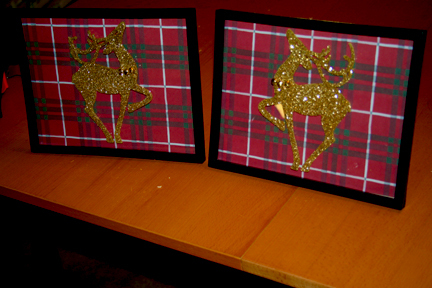 I removed the bells from the back of the deer before gluing down so they would be somewhat flat against the glass. It cost me $3 to make both. The ornaments were 2/$1 and the frames were $1 each at Dollar Tree. I already had the scrapbook paper. These will go on the mantel. 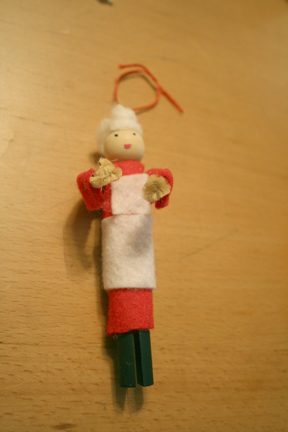 The girls and I worked on Santa ornaments first. 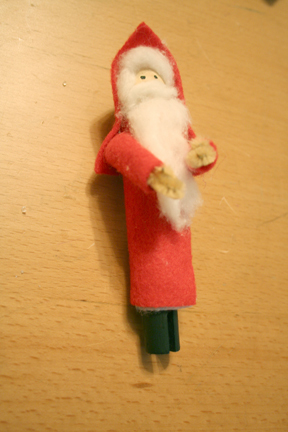 I used this blog post for instructions and modified them to suit the supplies I had on hand. We made a total of 5 and I need to finish them. I need to add some embroidery floss to hang them with and I'm thinking I might want to add a strip of black felt to make a belt, but I'm not sure. Isn't she just too stinking cute?! I love her to bits! I need to make 4 more now. Living in Maryland means we sometimes have snow on Christmas, but it's not guaranteed. Well, the girls and I decided we would make sure we have snow on Christmas every year. 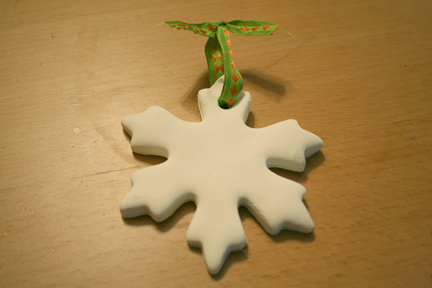 First we made some Model Magic snowflakes following this tutorial. 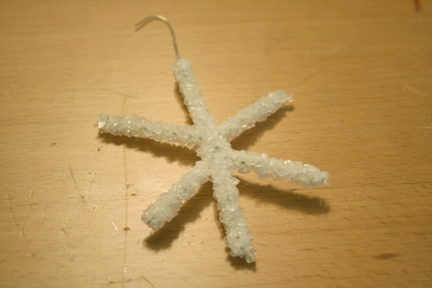 We were able to get 11 snowflakes out of 2 packages of Model Magic. I didn't want to make them too thin so they'd be sturdy once dried. They turned out pretty much awesome! I thought about drawing designs on them with red Sharpie, but I actually like them just the way they are. I hung them on our chandelier to dry, which took about 2 or 3 days. In person they look like they are encrusted with diamonds. So darn pretty! I can't wait to see them on the lit tree. The sparkles will just be amazing!